It was me an honor beeing a member of this website, meeting all these wonderfull People. My time here is over. I know i did more bad then good things to the people here. So i want to make an official Apologize to everyone i hurted. I am sorry to all of you for everything i did. Most cant be forgiven but i want to let you know that i feel very bad for hurting you all. My deep Apologize for all of you. For every couple on here and every person whos in love, i wish you a very happy 14th February and good luck in your all future. It was me an honor. Enjoy life Araz, though I've heard of some unpleasant situations, I still found it a pleasure to have you around on the site. Well, it was nice knowing you, however shortly it was. Bye, and good luck for your future. For People who want to be still in contact with me. If i dont accept Friend request in never got it. In this case i need your e-mail. Otherwise I am leaving NanoFate. 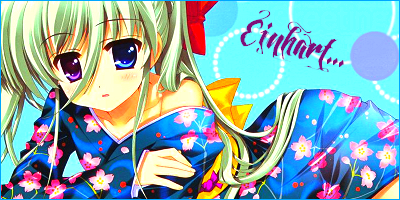 Yes Einhart i am leaving, i wish you a wonderful time here. Apologies too, Araz. I must have not listened to your advices, but I sure hope I may listen to them well later on. I just do not understand for what reason you're leaving this website. There are good and bad times here, and anyone cannot really help themselves to be infuriated. Anyway, see you on MSN, I suppose.